She works hard to keep her small commerce going. It’s extremely difficult because she has so many mouths to feed. It takes great discipline because she sells basic groceries – rice, oil, and sugar – and could always add more to any meal she prepares. But even with the progress that her livestock and her commerce have made, she still thinks of them as sidelines. Her main enterprise is farming. Though the decision comes with risk, she decided to invest all her proceeds from the saving association’s first year into her fields. Her husband and her oldest son work as part of a team. Team members take turns working in one another’s fields, and they also sell labor to outsiders. It means saving a lot of money. Her fields were worked for nothing as part of the arrangement. Even so, she had to come up with the money to feed a team of 17 men every day they worked. And that was after spending money on the seeds they would need. If her harvest is good, it will have been worthwhile. 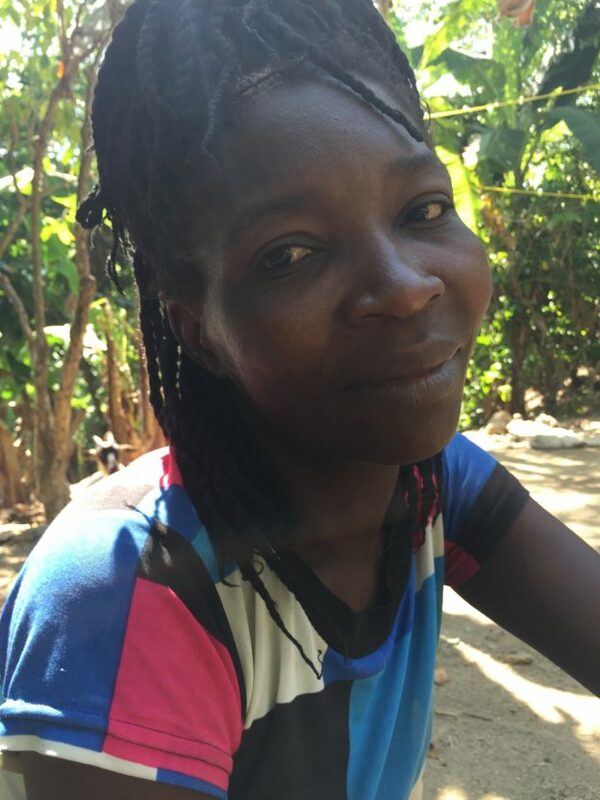 Rosana’s plans for the future involve a big increase in her expenses, and she’ll have trouble succeeding unless her farming takes off. She wants to rent a room near downtown Laskawobas for her children so that they can go to school there. She says that they’ll be able to attend much better schools than the one they attend now in Mawotyè, and the walk back and forth will be much easier than the hike up and down the mountain that they are stuck with now. This entry was posted in Chemen Lavi Miyo, The Women of Kolonbyè on March 22, 2018 by Steven Werlin. Lawa, a Neighborhood of Gros-Morne: The Troubled Cry of a Community in Distress.